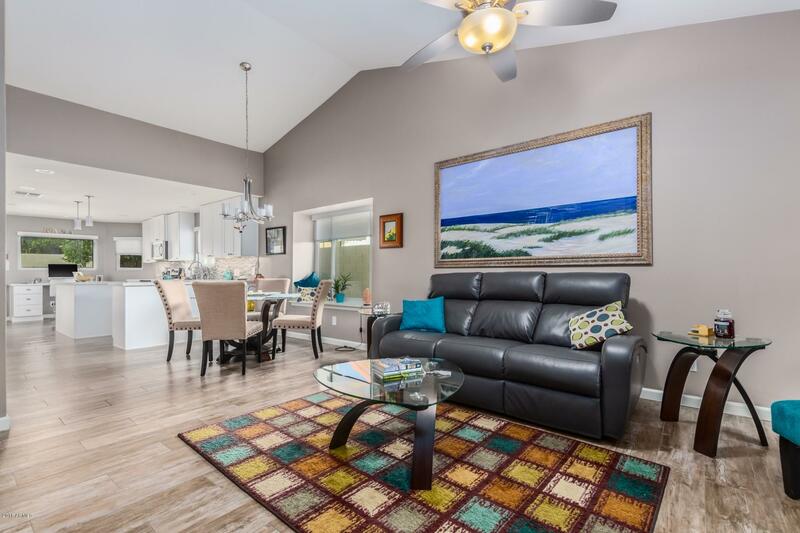 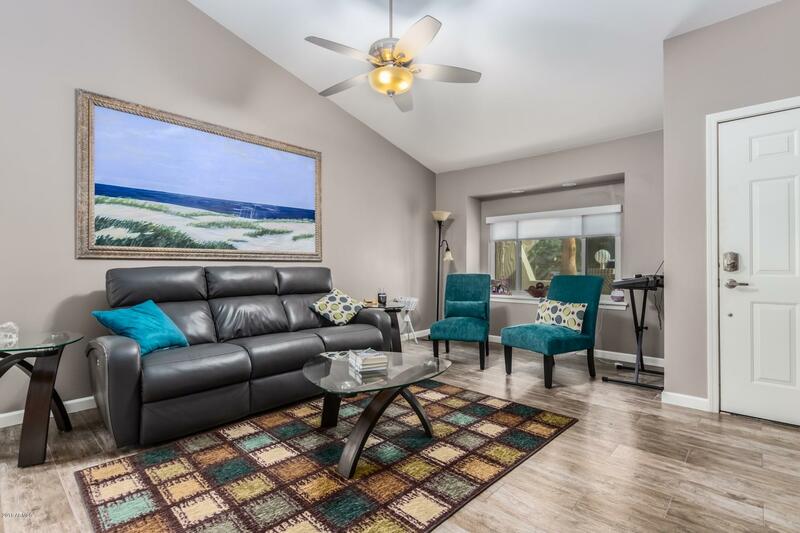 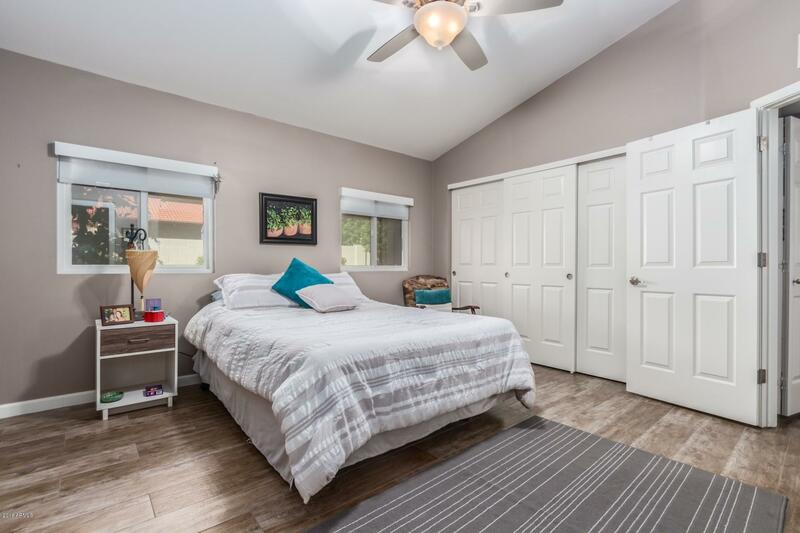 Completely remodeled, wonderfully decorated, and move-in ready. 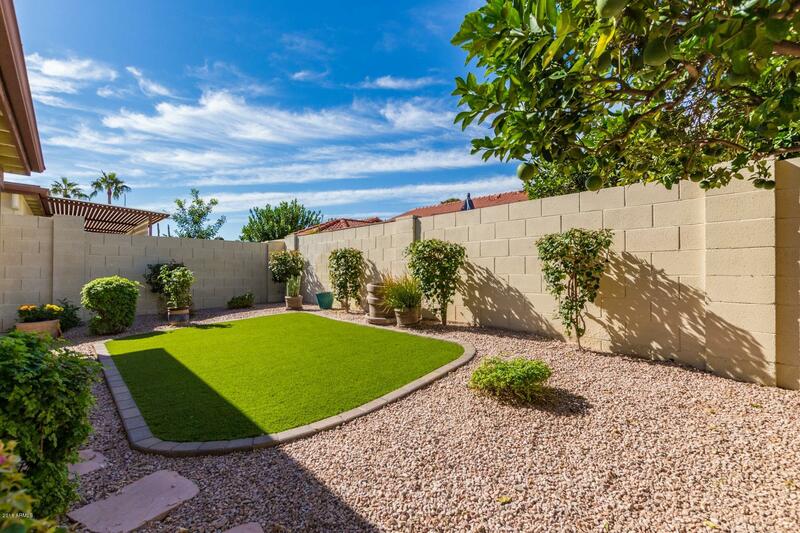 Beautiful no-maintenance yard. 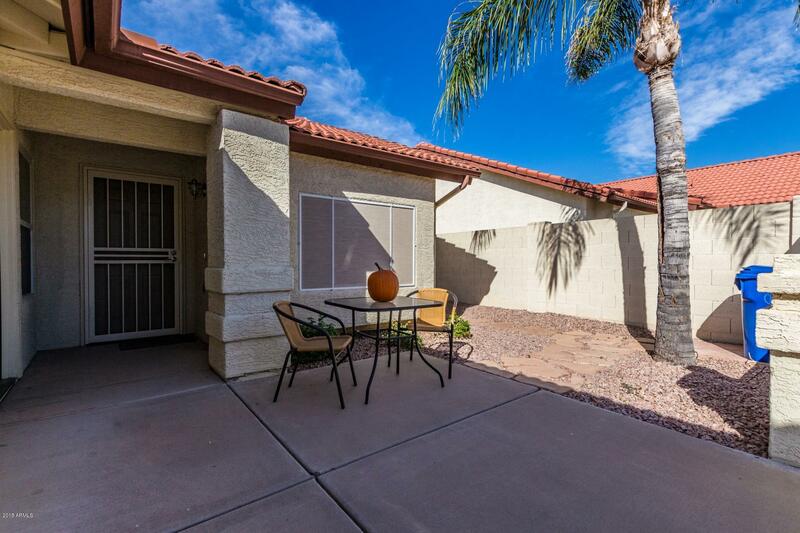 Quiet, peaceful neighborhood...perfect for our winter visitors. 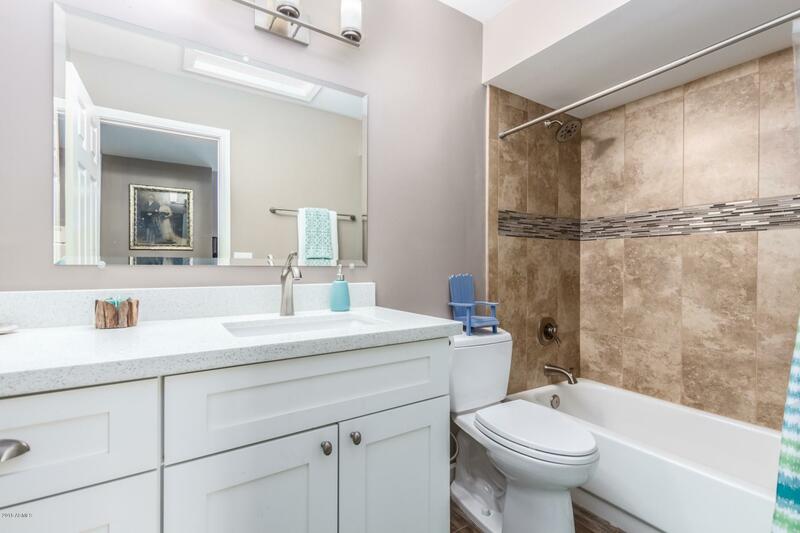 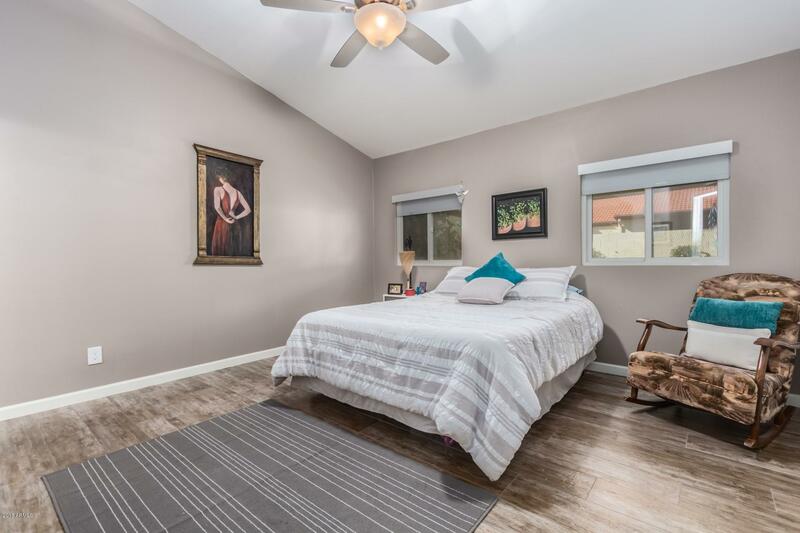 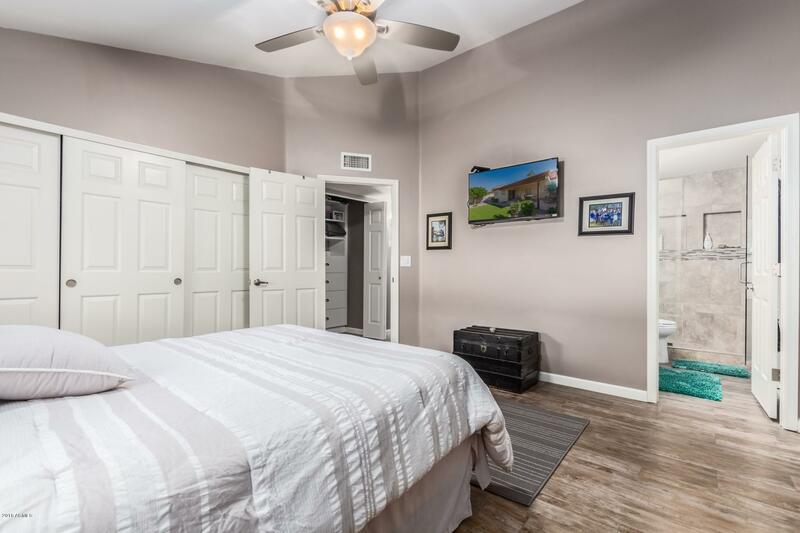 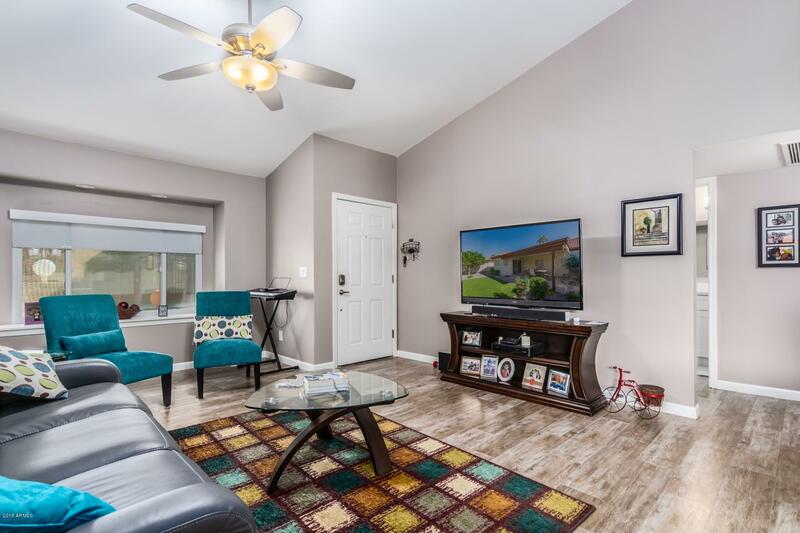 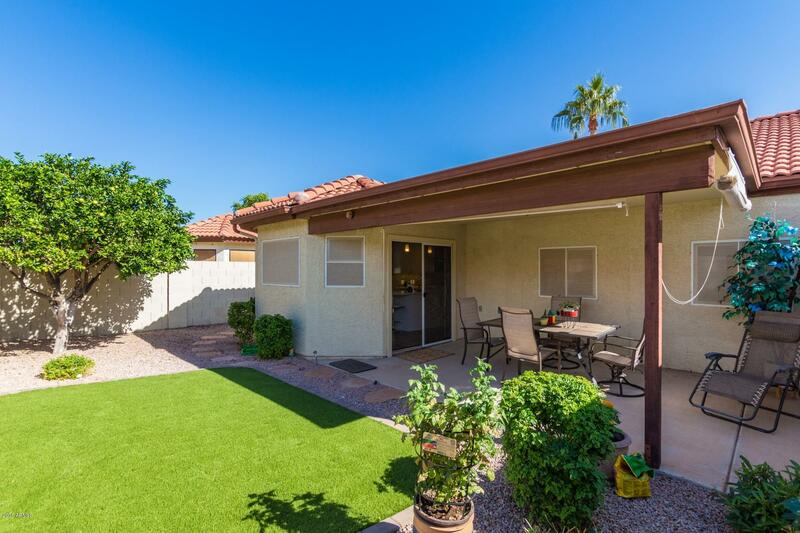 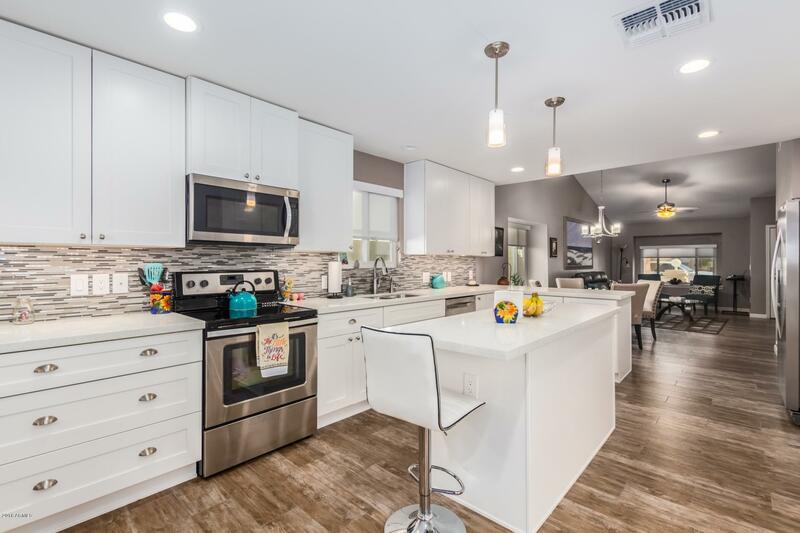 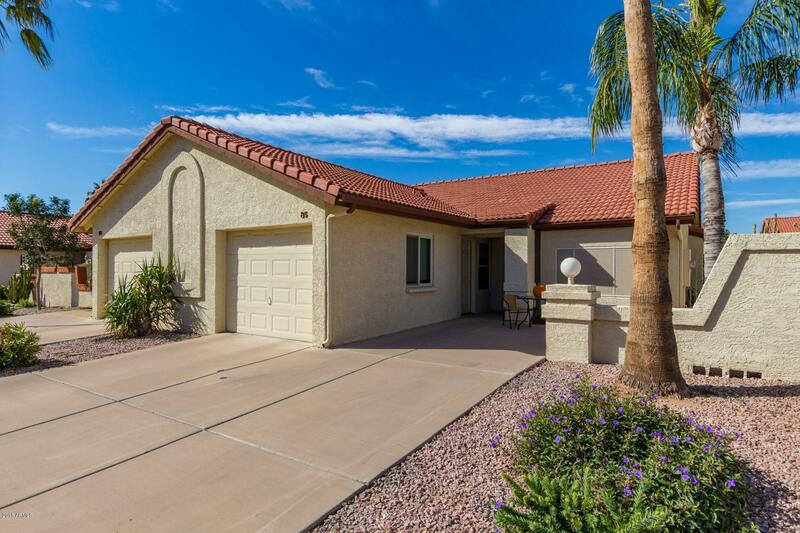 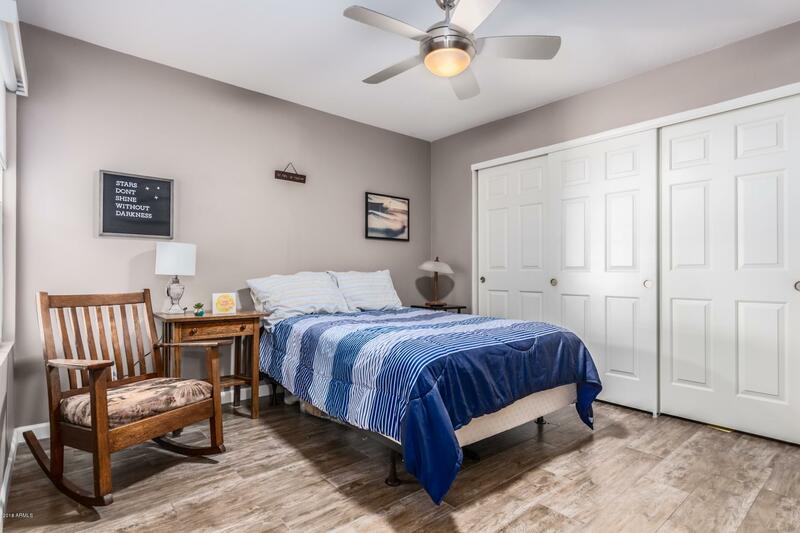 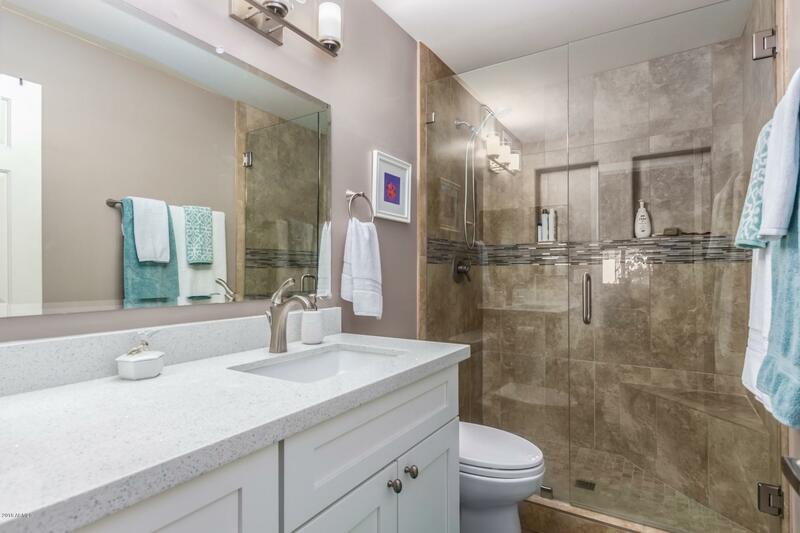 Fully remodeled bathrooms showcasing new plumbing fixtures and connections, quartz countertops, tiled shower, and premium cabinets. 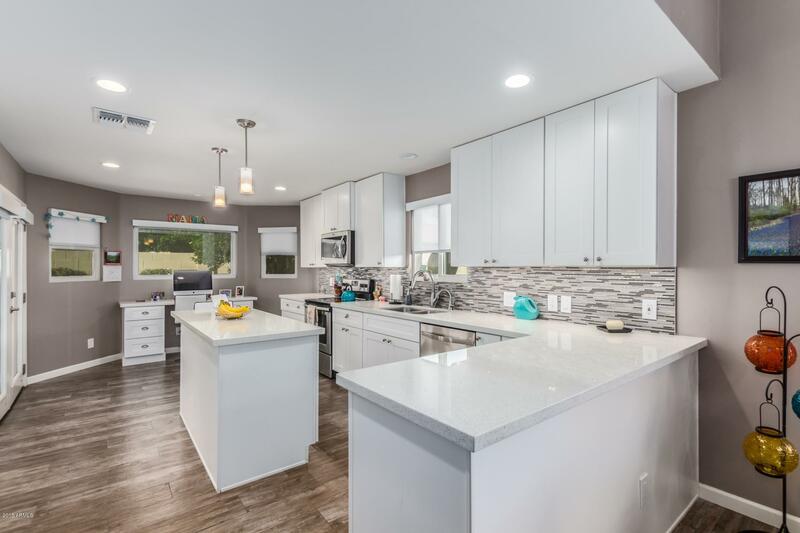 New lighting fixtures throughout with dimmers and LED lighting. 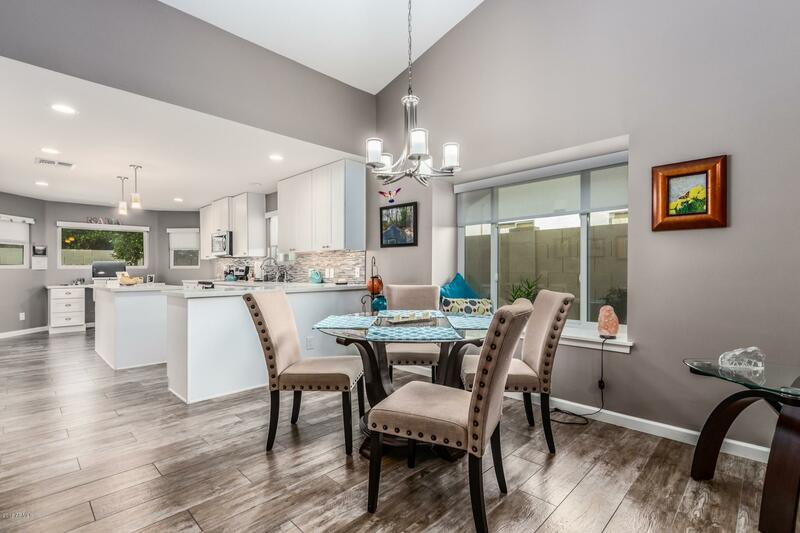 Flooring completely redone with porcelain faux wood tile. 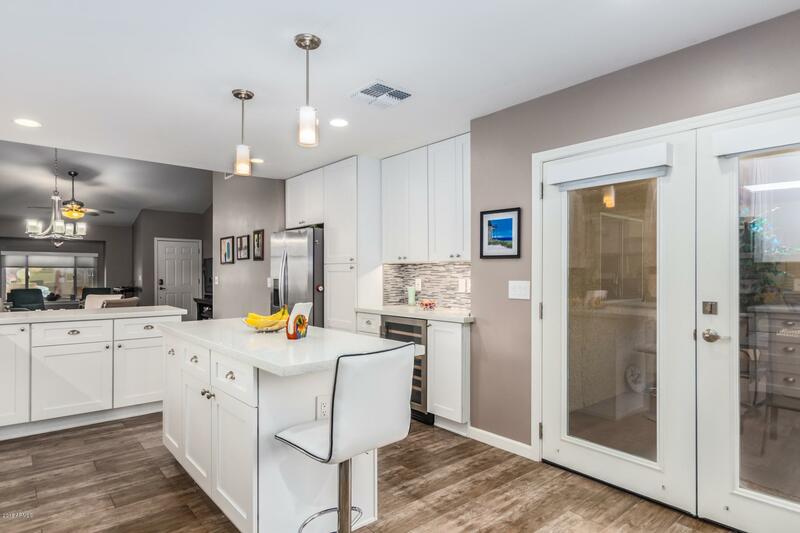 New appliances plus wine refrigerator and quartz desk workspace. 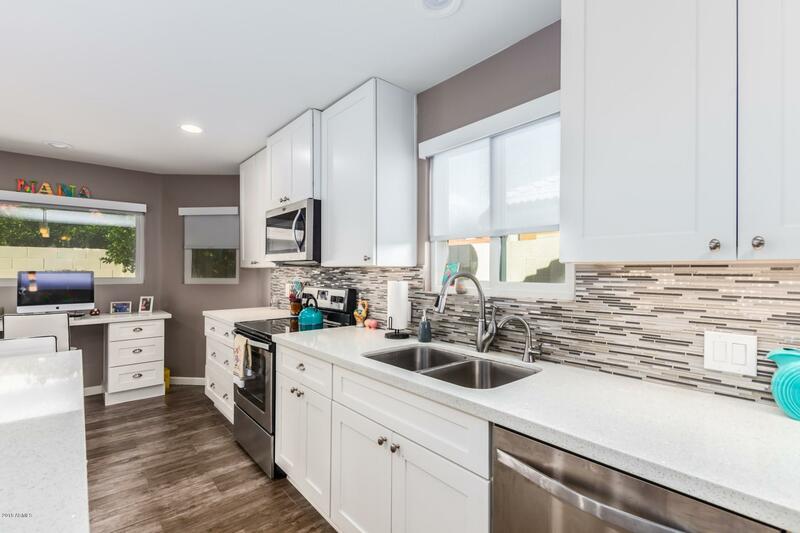 Shaker kitchen cabinets conveniently equipped with recessed lighting, quartz countertops and custom backsplash, R/O and soft water system. 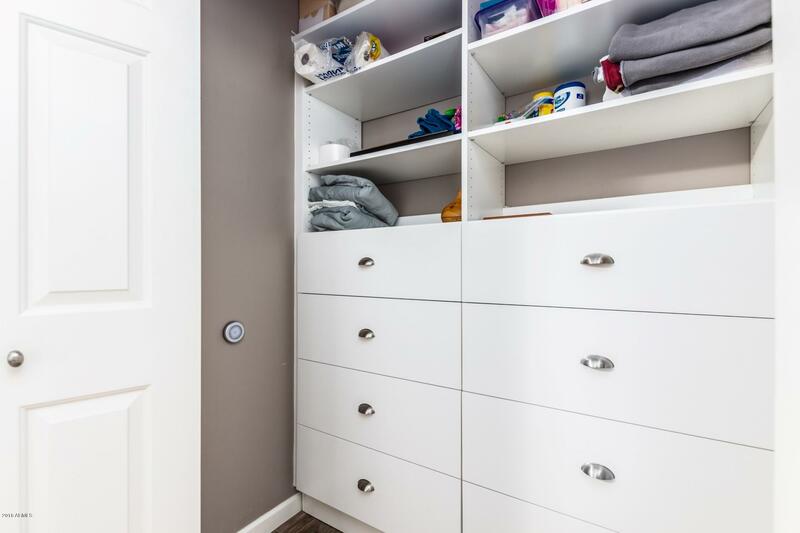 Spacious bedrooms and hallway upgraded with closet shelves and cabinets, courtesy of Classy Closets. 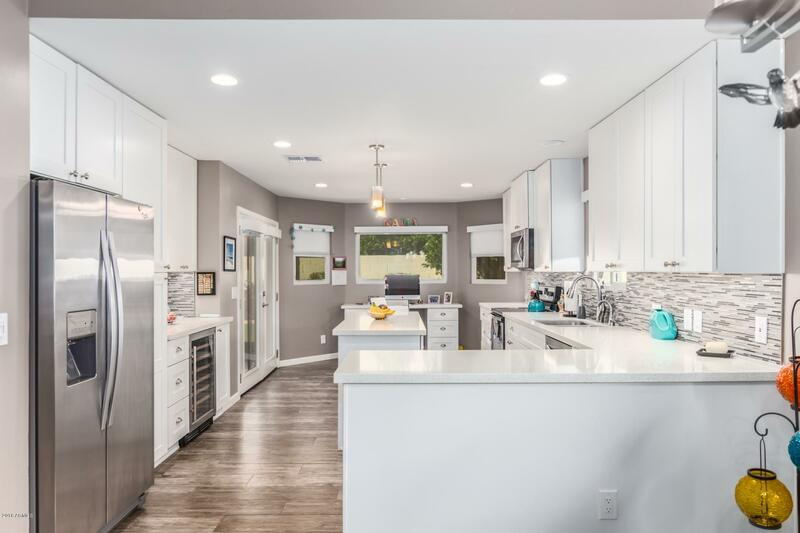 Professionally painted interior and garage...absolutely stunning remode!